Last year didn't exactly go as most Eagles football fans had hoped, as Eastern Washington's first post-Vernon Adams season was a scuffle. The team ended the season with a 6-5 record, and missed the Football Championship Subdivision playoffs for just the second time in seven years. It looks like the writers and coaches from the Eagles' peer schools expect the team to be right back in the thick of the playoff race this year, as the STATS poll and coaches' poll released Monday both have the Eags in the Top 20 among FCS squads. In the STATS preseason poll, the Eagles land at No. 14, while in the coaches preseason Top 25 poll, coach Beau Baldwin's squad comes in at No. 17. Both polls will be updated weekly once the season starts in September. The Eagles' 2016 opponents are all over the polls, too, indicating a challenging schedule ahead when the season kicks off Sept. 3. North Dakota State is ranked No. 1 and Northern Iowa is ranked No. 5 in both polls, and both teams are on Eastern's non-conference schedule. Within the Big Sky, conference peers Montana, Northern Arizona and Portland State are all ranked in both polls as well. "We get excited about putting ourselves on that stage and in that challenging moment," Baldwin said in a release accompanying the polls. "It's a chance to do special things. It's going to be a challenge, but our program relishes that and will embrace it." 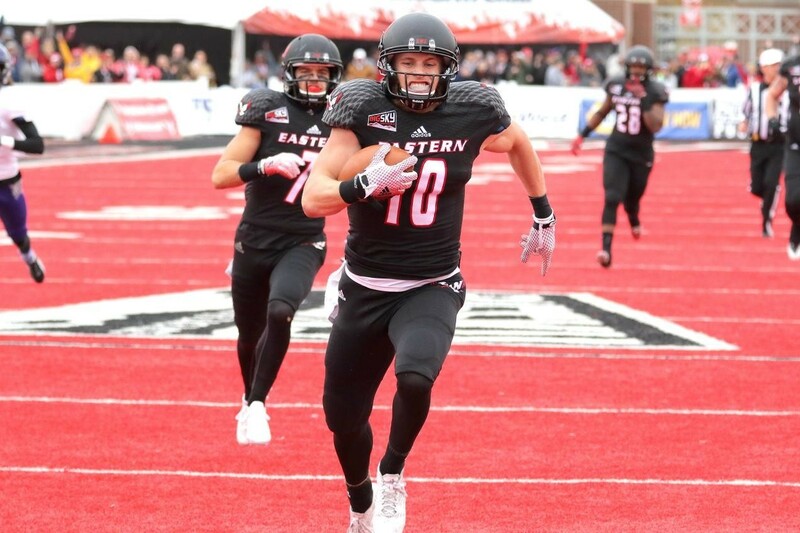 The Eagles return 14 starters from 2015, led by senior Cooper Kupp, the team's All-American wide receiver who many expected would enter the NFL draft after his junior year. In the Big Sky conference media poll, EWU is picked to finish third in the conference. In the Big Sky coaches' poll, they're picked fourth. EWU kicks off its season Sept. 3 against Washington State in Pullman.